ORIGINAL & EXCLUSIVE SUNSET PHOTO ART. INSPIRATIONAL & EXHILARATING SUNSET SEASCAPES. 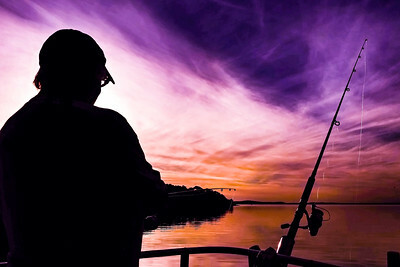 Photography over water, ocean, sea and coast, in marinas, over yachts, panoramas, vistas, sky views. In many vivid colours ranging from light pink to crimson, gold to orange, blue to Violet, and burnt orange to red. 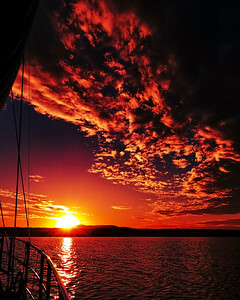 In nearly every case these sunset landscape images were photographed from the deck of a cruising Yacht on an extended East Australian coastal photographic sailing cruise. This does introduce an interesting way of observing our countries sunset sky scenery, " from the water - to the land ", rather than the usually land-based sunset photos. The East Australian Queensland and NSW coast produce some of the most stunning sunsets to be witnessed anywhere in this world. Crimson and Blue Sunset Panorama. Art photo . Crimson and Blue marina Sunset with boats in silhouette. 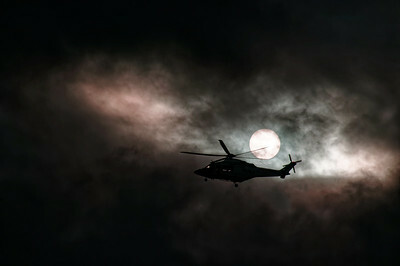 Photo was taken at Mooloolaba, Queensland, Australia. PLEASE NOTE. All Images in this gallery are delivered Free, electronically, worldwide as a Digital Download WITHOUT the Bold Watermark and the small artist's signature. This image is ready for you, or your local printer, to print and it also may be used as a colourful desktop screensaver. DOWNLOADS HELP. For EASY to follow image Download Instructions, please Click: http://www.sunnypicsoz.com/HELP-With-DOWNLOADS All photos can also be supplied as a Hard Copy Print, and with options to buy as a "Mounted and Framed Art Piece" ready to hang, ( However, it is usually Less expensive and much Quicker to have a Local printer in your own country or locality print for you off our - Instant Free Electronically Delivered "Digital Download File" ). For more information please CONTACT ME. To Contact Me for any personal assistance, please Click "CONTACT ME" in the NAVIGATION Menu (Top Right) Affordable Quality Images - With instant worldwide free electronic delivery. (C) 1998-2018 Geoff Childs. All rights reserved. 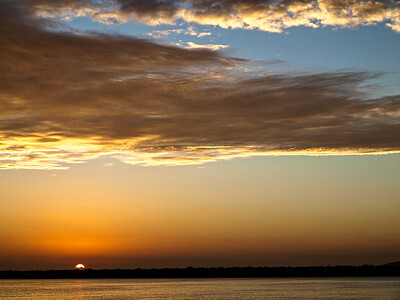 Orange yellow coloured cumulus stratus cloud, sunset seascape. 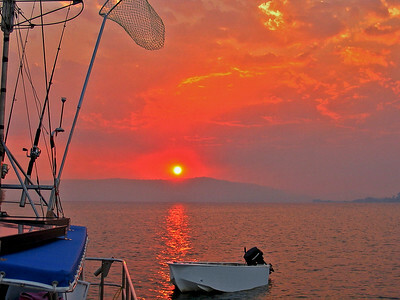 Australian Summer seascape, waterscape, orange sunset with primarily cumulus and stratus clouds against a lilac sky, with asailboat and cloud in silhouette and reflections in sparkling coastal ocean waters. Yellow and grey colored cumulonimbus cloud, sunset seascape. Beauty in nature. 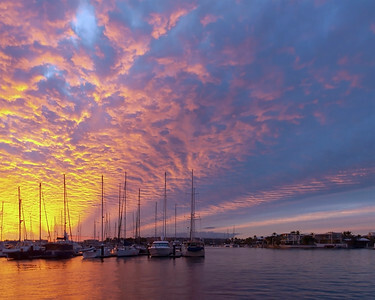 This unique tropospheric skyart photography is from the Australian East Coast. Yellow and grey cumulonimbus formation in an atmospheric cerulean blue sky. Sunset display over water and through cloud. 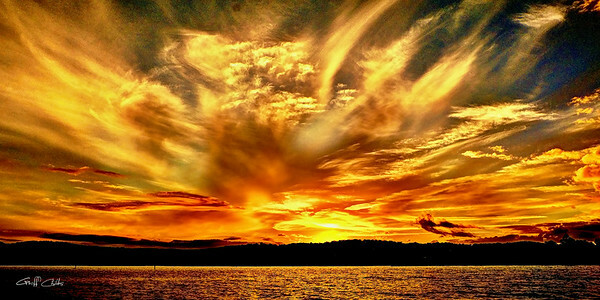 Orange coloured stratucumulus cloud, sunset seascape. 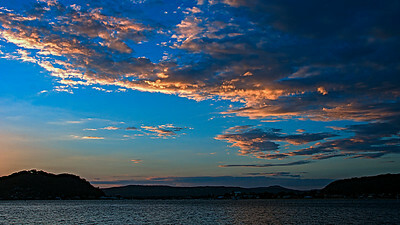 Picturesque non urban coastal orange cloud, cobalt blue sky, sunset landscape. With mostly stratocumulus clouds over water and a seashore horizon, viewed from the ocean. Australia. 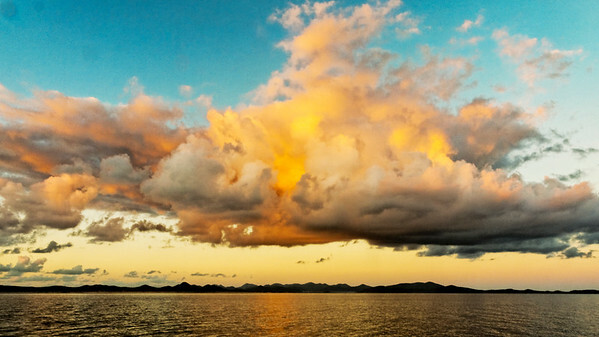 Red colored Cumulus cloud, sunset seascape. Australian Summer seascape, waterscape, sunset with primariley Cumulus clouds against a scarlet and dark grey sky, reflected in sparkling coastal ocean waters. 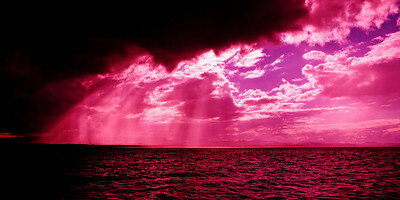 Dark threatening cloudy sunrise over ocean with pink crepuscular rays. A spectacular hot pink sunbeams sunrise over tropical water with brightly colored crepuscular rays and colorful sea water ocean reflections. Queensland, Australia. Red colored altocumulus cloud, sunset seascape. Coastal sunset seascape featuring colourful red orange and yellow sky with sea water reflections from an altocumulus cloudy sky. Purple and orange colored cirrus cloud, sunset seascape. Colourful orange and gold Sunrise silhouette with water reflections Photograph taken at Tin Can Bay, Queensland, Australia. A beautiful inspirational Red coloured cirrus cloud sunset seascape over sea water with long water reflections. Photograph location Queensland, Australia. Magnificent white Cirrostratus cloud in blue and gold sky. 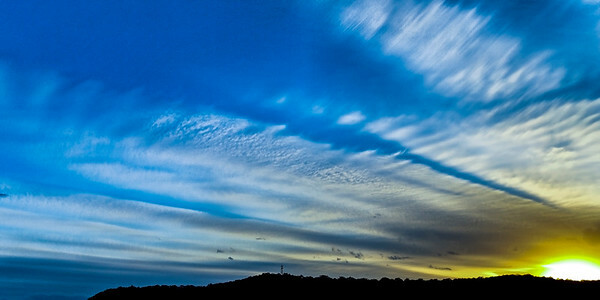 Magnificent panoramic white Cirrostratus cloud in blue and gold sky. Beauty in nature. 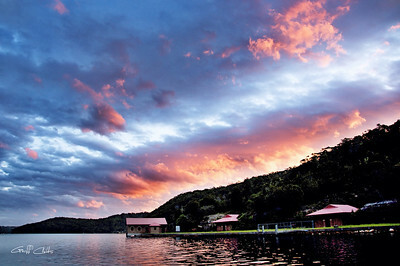 New South Wales, Australia. A striking inspirational gold coloured cloudy sea water sunrise seascape with ocean water reflections. Queensland Australia. PLEASE NOTE. All Images in this gallery are delivered Free, electronically, worldwide as a Digital Download WITHOUT the Bold Watermark and the small artist's signature. This image is ready for you, or your local printer, to print and it also may be used as a colourful desktop screensaver. DOWNLOADS HELP. For EASY to follow image Download Instructions, please Click: http://www.sunnypicsoz.com/HELP-With-DOWNLOADS All photos can also be supplied as a Hard Copy Print, and with options to buy as a "Mounted and Framed Art Piece" ready to hang, ( However, it is usually Less expensive and much Quicker to have a Local printer in your own country or locality print for you off our - Instant Free Electronically Delivered "Digital Download File" ). For more information please CONTACT ME. To Contact Me for any personal assistance, please Click "CONTACT ME" in the NAVIGATION Menu (Top Right) Affordable Quality Images - With instant worldwide free electronic delivery. (C) 1998-2018 Geoff Childs. All rights reserved. Threatening dark Cumulonimbus clouds in golden cloudy sunset seascape with sea water reflections. Photographed on East Coast of Australia. SUPPORT If you have ANY queries, for personal support, please CONTACT me through the CONTACT Box in the menu on the Home page. Cruising Yacht and Tender on the water at Dawn with salmon coloured water reflections. Photographed at Brisbane Water, Gosford, New South Wales, Australia. PLEASE NOTE. All images in this gallery are delivered Free, electronically, worldwide as a Digital Download WITHOUT the Bold Watermark and is ready for you, or your local printer, to print and it also may be used as a colourful company desktop screensaver. Flames of Gold Sunrise. An incredible display of natures sky art over water through cloud. 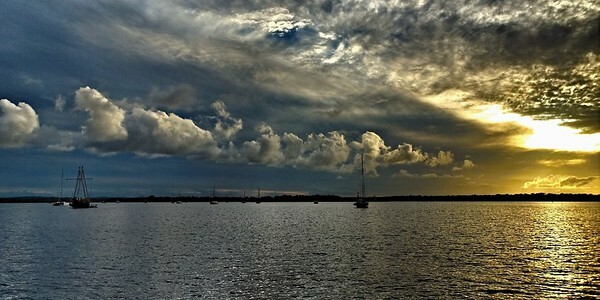 Photograph taken in Lake Macquarie, New South Wales, Australia.